Peaches was living in an auto body paint garage with fumes everywhere. It's a miracle he survived. His person had actually paid $1800 for Peaches, which Peaches says is a bargain for someone as handsome as he is. But of course, he's a living being, not a decoration. And his person got tired of hearing him squawk, so he wound up living at the paint shop. Thank goodness he was rescued before it was too late! 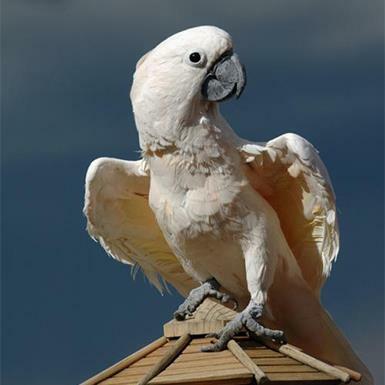 But now this spirited cockatoo is looking for a home. Peaches likes to dance, show off, and get lots and lots of attention. Would you like to learn more? Peaches' caregivers can tell you all about him.